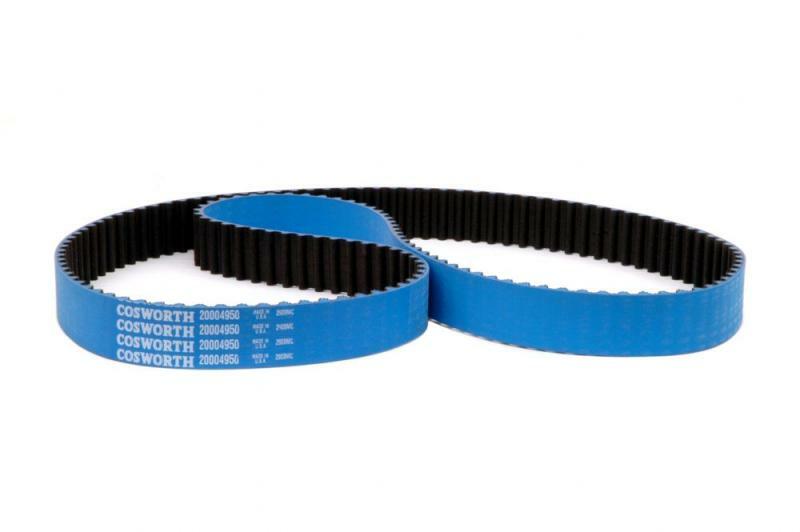 Cosworth Kevlar High Performance Timing and Balance Belts are 300% stronger than original equipment timing belts and are the perfect compliment when installing Cosworth camshafts or cylinder heads. High saturation HNBR elastomeric composites ensure durability and heat resistance Durable nylon fiber provides extra wear resistance and increased tooth strength. Kevlar backing improves strength.